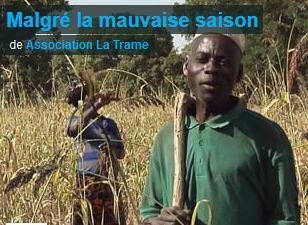 In 2014, with the support of ASED, the AZN Rural Development Training Center in Guiè opened (Burkina-Faso). Since then, more than fifty apprentices have acquired the basics of an ecological and more efficient subsistence farming thanks to the “Sahelian grove”. ASED is now collaborating with the Toulouse association “La Trame” for the AZN to have a film production unit: Le Ciné Yam. It will produce professional-quality films as a support for teaching. It will also be a means of disseminating these agricultural techniques, which are essential for food security in the region. At the heart of this innovative system is Zaï: a traditional technique of soil preparation.